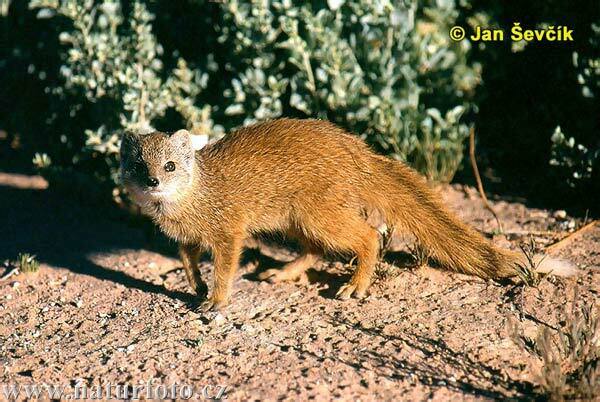 Yellow mongoose eat primarily invertebrate or insects; some of these include ants, termites, beetles and locusts. They have also been known to eat frogs, birds, lizards, snakes, eggs, and small rodents. (Look at this interesting lizard and another one here!) 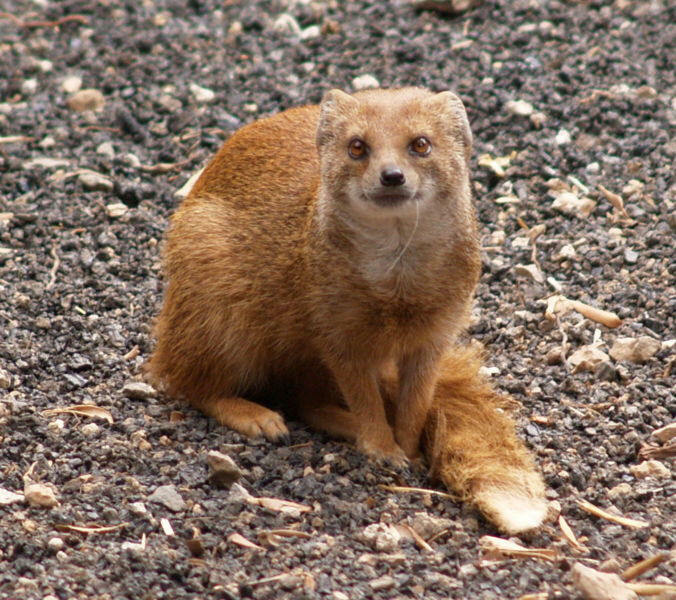 Since the yellow mongoose is diurnal, which means it is active during the day, most of its day is spent foraging or acquiring food. If the daytime becomes too hot when they are out hunting, they may go back to their burrows. It usually starts and ends its day with the sun, so as the sun rises the yellow mongoose does also, and when the sun sets the mongoose goes back to its burrow. Also, it does not require a host, and I did not find anywhere that said it serves as a host for any other organisms. Learn how my organisms multiplies!